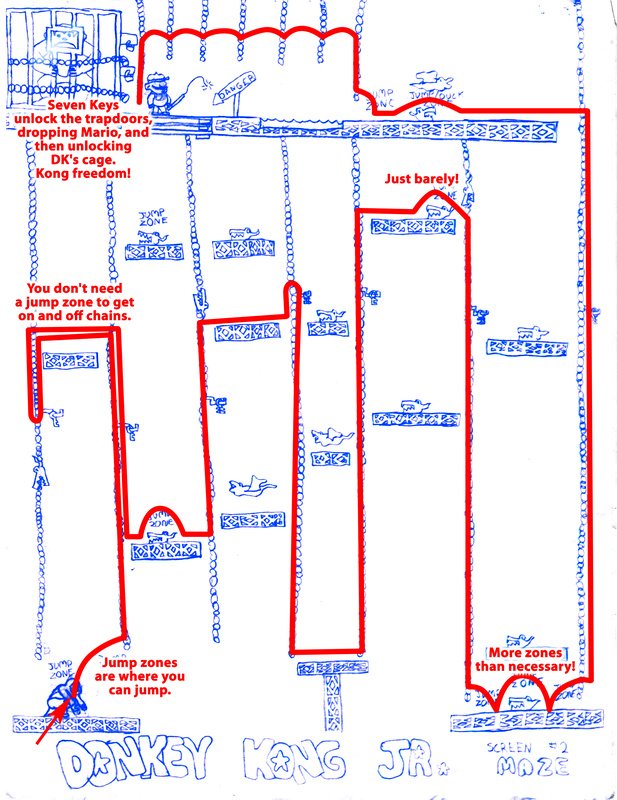 Concept:Donkey Kong Junior ©1982 Nintendo. - STAFF: Designed and programmed by Shigeru Miyamoto and crew. This derivative artwork displayed in tribute and under Fair Use. Volume II started out with a lot of sequels, and this maze is no exception. This maze stayed a little too close to its source material, and required too much explaining when my buddy tried to navigate it as a maze.